George Lopez was arrested this week for public intoxication at the Caesars Windsor Hotel and Casino in Canada. According to TMZ, George Lopez, 52, passed out on the casino floor. 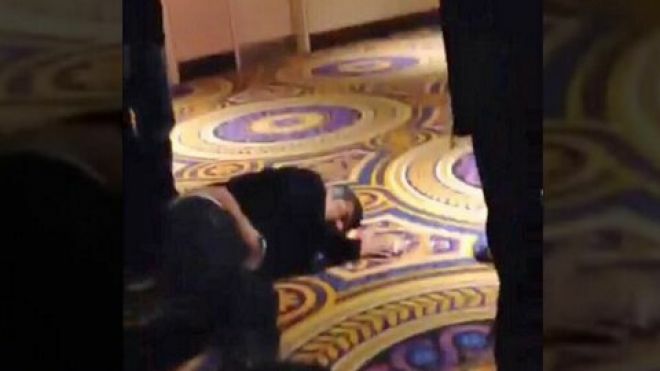 Law-enforcement sources told the celebrity site that Caesars security alerted police to the situation, at which point officers arrested the Lopez Tonight star inside the casino bar. No charges are being filed. According to TMZ, George Lopez was in custody to sober up and has since been released. The incident occurred shortly after George Lopez’s performance at the casino on Thursday.